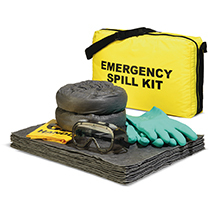 Keep your facility and products clean with these helpful accessories to our extensive lines of Pads and Rolls. Some carriers upcharge for shipping bales in bags. A simple solution! Our cardboard Pad Box perfectly fits one bale of Pads to both protect your sorbents and eliminate any shipping concerns. Ships in broken down format to your location for convenience and compact storage. 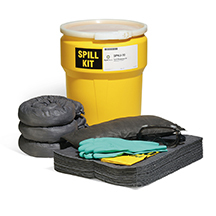 Use this Wringer to squeeze out and recover up to 90% of absorbed fluids from most Sorbent Mats. All-steel, rustproof frame is virtually indestructible. Adjustable screws balance pressure over the length of the roller. Cannot be used with SpillTech® Socks.